From abandoned sites such as Old Hachita and Sublette to historic towns that have survived until today (Columbus, Mesilla, Lincoln), New Mexico is rich in old mining, ranching and railroading towns. The ghosts of Billy the Kid, Pat Garrett, John Chisum, and even Pancho Villa, all players in New Mexico history, can be felt in many of the towns. New Mexico is also rich in frontier forts and ancient Indian pueblos. Names such as John Pershing, Geronimo, and Kit Carson come to mind. 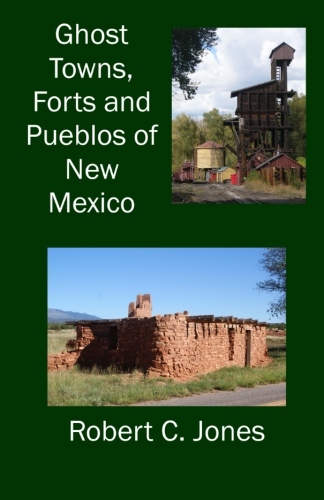 This book examines 40 ghost towns, ghost forts and ghost pueblos in New mexico. It contains 175 photos and 9 maps.